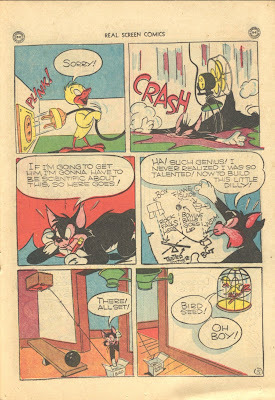 Yesterday Thad posted this Fox and Crow story from Real Screen Comics 9. 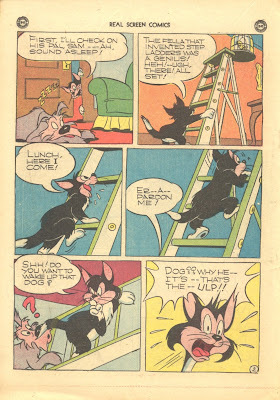 It's basically the same plot of "A Pest in the House", one of the best shorts directed by Jones. 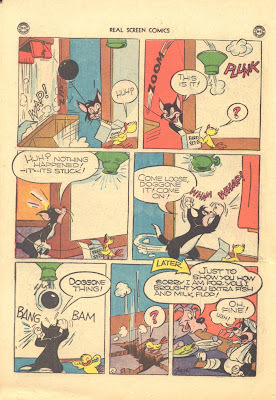 What is unbelievable is that the same issue features a Flippity and Flop story that has more than a thing in common with another animated short, a certain AAW cartoon starring another cat and another canary. 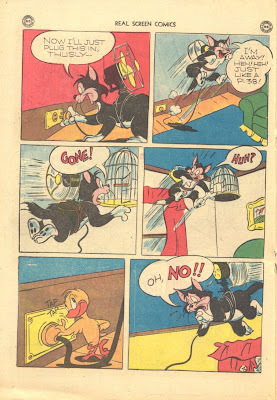 So we can come to the safe conclusion that Maltese, the link between the Freleng short and this comic story, was responsible for two of the best gags in "Tweetie Pie". The artist of that story is not Bob Wickersham. I'm uncertain of a positive ID myself but I am of the opinion that it's most likely Paul Sommer. 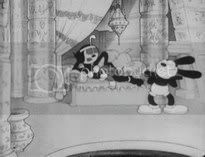 I was told it could have been Wickersham but I had a few doubts myself. 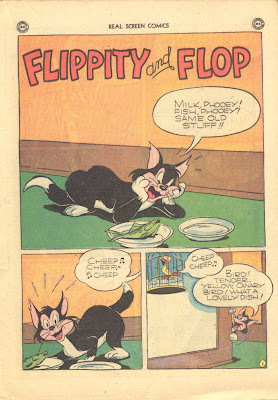 Great comic with Flippity and Flop. 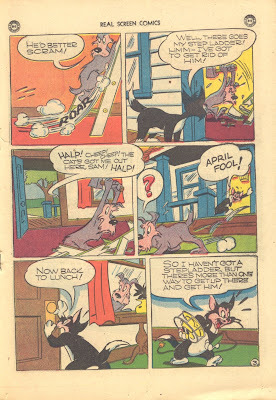 The guys from Real Screen Comics did some of the most lovable comics from the original cartoons characters at my opinion.